Bond Street Theatre has been working in Afghanistan since 2003. Our goal is to introduce theatre-based educational programs in Afghanistan, especially targeting women and girls who have few outlets for creative expression, and to help revitalize the performing arts after years of cultural repression. The Afghanistan you don’t hear about in the news: enthusiastic youth using their talents and ingenuity to make huge improvements in their communities. As part of our Creativity in Action program, begun in 2014, our teams of local and international artist-trainers traveled to 25 provinces, identifying young men and women who are committed to social change and are ready to volunteer to make progress a reality, and giving them the creative training and guidance they need to implement community improvement projects. Bond Street Theatre initiated a new creative program in the Herat Women's Prison, Juvenile Correction Center, Child Support Center, and the OMID Women's Shelter. The programs gives women a voice to speak out about the inequalities in the judicial practices that unfairly imprison women. By introducing uplifting, self-expressive, theatrical and storytelling processes into the rehabilitative process for incarcerated women and children in prisons, the women gain the confidence, motivation, and life skills to ease reentry into society. This is first program of its kind in Afghanistan. Bond Street Theatre's Voter Education & Fraud Mitigation Project prepared the Afghan population for the Presidential elections on April 5, 2014 and the subsequent run-off election on June 14th. The project built on our ongoing programs with four Afghan theatre groups, including their four all-women's troupes, to bring civic information to hard-to-reach places with a focus on reaching women and youth. The project, supported by the United States Institute of Peace, increased voter turnout in every area reached by the performances, especially by women. The Theatre for Social Development project trained Afghan theatre companies to apply their art to social improvement and bring information to rural areas where illiteracy is high and people, especially women, have little access to information. The project has created four new women’s theatre troupes that reach women who are isolated by tradition, location, or incarceration. 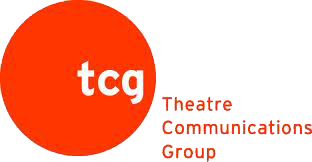 The goal is to build the capacity of local theatre organizations to provide educational services on an ongoing basis to their communities. Bond Street Theatre disseminates effective theatre-based practices that address conflict prevention, reconciliation, and innovative approaches to peacebuilding, through workshops and collaborations with Arts Partners and NGO Partners in Afghanistan, featuring outreach programs for adults and youth, and business training to ensure sustainability. 2017 - BST initiated a yearlong program to inform and engage communities in Afghanistan about legal rights and access to justice, working with youth leaders from eight provinces. 2014-2016 - the Youth-Led Community Improvement Project brought 375 youth together from 25 provinces to receive leadership, arts and community service training. The youth teams successfully implemented community improvement projects in their home provinces, and are now part of a network of young people committed to making lasting change. 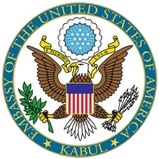 2013-2014 - the Voter Education and Fraud Mitigation Project, funded by the United States Institute of Peace, conducted voter rights performances in the lead-up to the Afghan Presidential elections and run-off elections. Our Afghan partner theatre companies reached over 150,000 individuals. 2010-2012 - the Theatre for Social Development Project trained four Afghan theatre companies and created four new all-women's troupes, each of which created and toured informational plays, reaching isolated areas with high rates of illiteracy and little access to mass media. 2006-2009 - The US-Afghan Arts Exchange and Conflict Resolution Project facilitated artistic exchange between Afghan, Indian, and US theatre artists. The groups presented their play, A Kite's Tale, about children's rights throughout India, along with uplifting workshops for rural women, street children, and other disadvantaged groups. 2008 - BST worked with Aschiana in Mazar-i-Sharif, using theatre techniques to improve education and build self-confidence for street-working children and to empower local women. 2007 - BST conducted a workshop program for Aschiana in Kabul, focusing on self-confidence, self-expression, and group cooperation, and trained a theatre group at Mediothek Center in Kunduz. 2005 - BST completed two residencies at Kabul University, teaching students and preparing a collaborative production, Beyond The Mirror, with Exile Theatre, a company of formerly exiled professional theatre artists. The first ever Afghan-US theatrical collaboration, it premiered in Kabul and toured in Japan and the US with glowing responses from audiences and international media. 2003 - BST's first work in Afghanistan in collaboration with Exile Theatre, bringing healing programs to refugee families that were pouring back into the country. With Afghanistan-Schulen, we reached 25,000 children in the rural north, focusing especially on girls who were returning to school after years of Taliban ban on girls' education. 2001 - Following September 11, 2001, BST members traveled to Afghan refugee camps in Pakistan to bring joy and laughter to Afghan children, conduct workshops, and learn more about the conflict. After three decades of war, occupation, drought and constant displacement, Afghanistan is starting the long process of recovery. Beginning with the Russian invasion in 1979, followed by a decade of mujahideen-driven civil war, eight years of repressive Taliban rule, US retaliation after September 11th, and an upsurge of violence in 2006, Afghanistan has a long, rich and often conflict-riddled history. Theatre and all of the arts were decimated by the eight years of strict Taliban law.